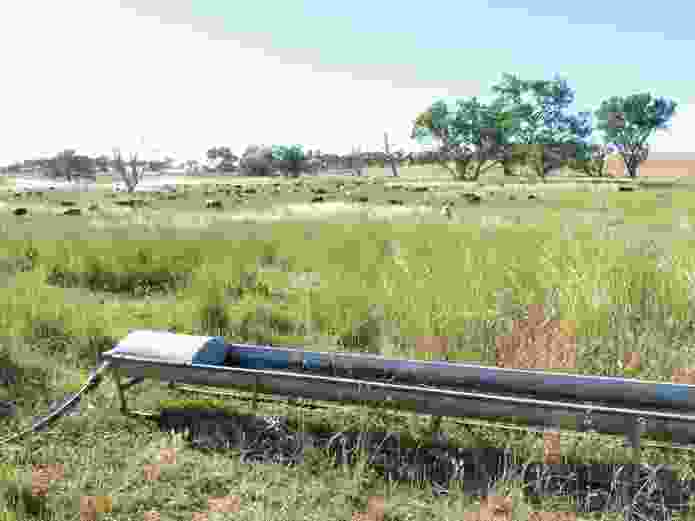 Grazier David Marsh has farmed his 814-hectare property on the South West Slopes of New South Wales for decades. He shares his experience of moving from an industrial farming mindset to taking a more ecological approach based on many years of refinement. 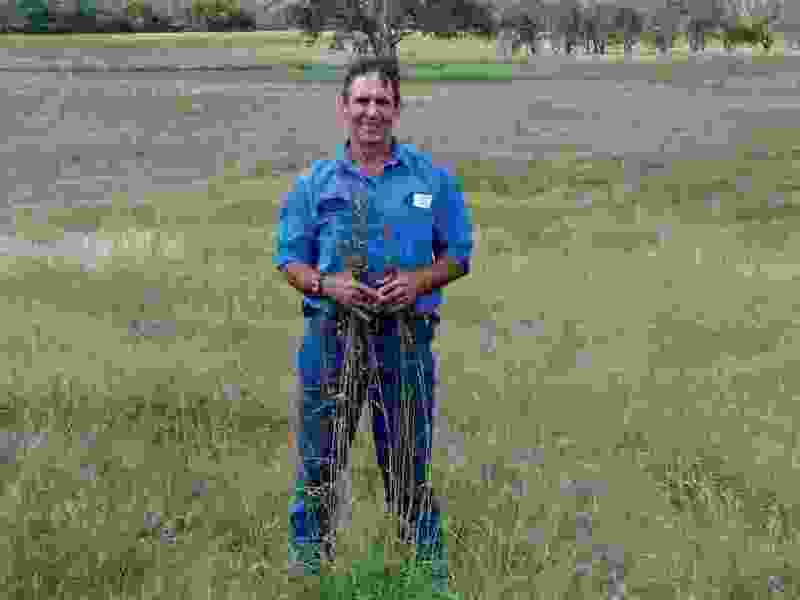 Each year grazier David Marsh harvests kangaroo grass seed (Themeda tiandra) from roadsides and sprinkles it around his paddocks. It is thought that humans prefer living where they can see scattered trees and, sometimes, water. We often plant trees to fill this evolutionary desire because it mimics the African landscapes where modern humans originated. Europeans, however, viewed these incredibly knowledgeable Indigenous Australians as less than human. As with North and South America, diseases from the Northern Hemisphere decimated the Aboriginal population; many were swept aside by the insatiable greed for land. There were many acts of which none of us can feel proud, what W. E. H. Stanner called the Great Australian Silence. David Marsh sharing his experiences with other interested farmers. 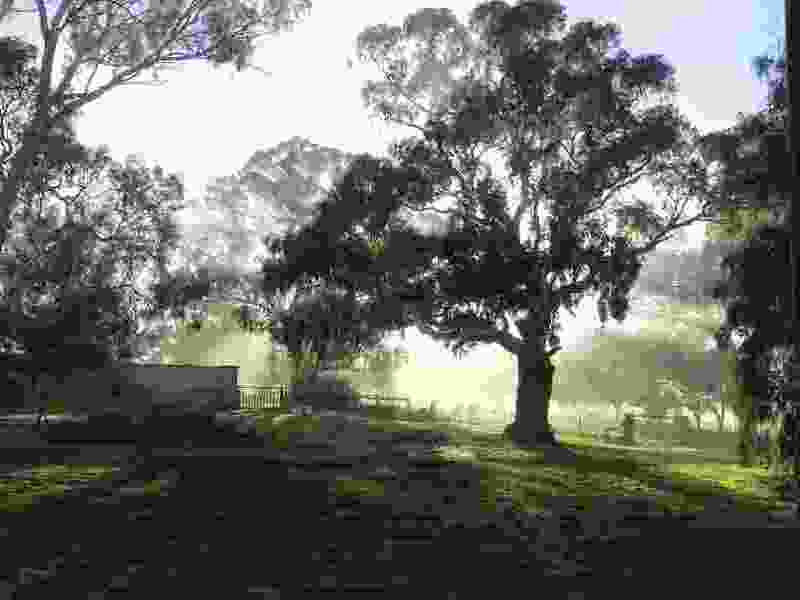 Our farm is 814 hectares in the South West Slopes region of New South Wales. It is a very altered patch of the last of the box gum grassy woodland epoch. The Boorowa River catchment has only 15 percent of the original tree cover remaining. The piece of land for which we are temporarily responsible is close to a town that had two breweries and needed a constant supply of wood; as such, the land had only 3 percent woody remnant vegetation when I started farming here in 1971. 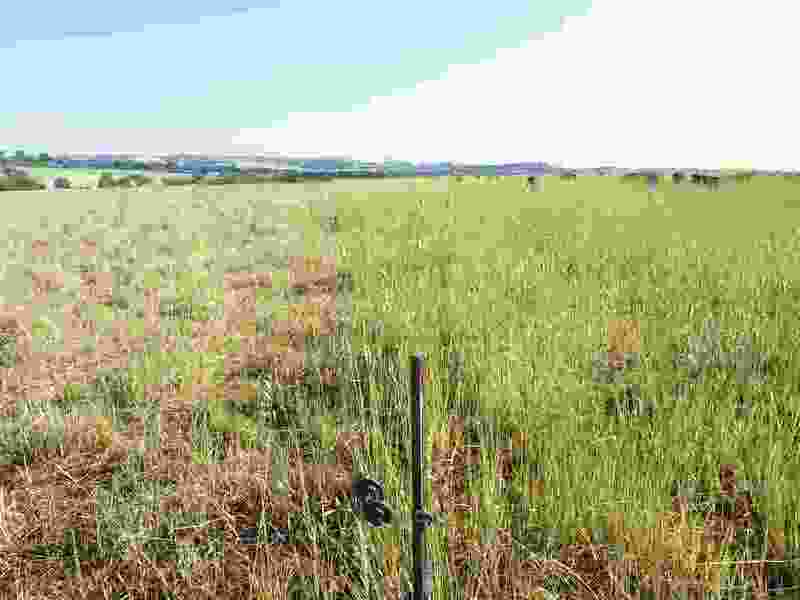 The once-diverse, native perennial grasslands, interspersed with flowers, creeping legumes, lilies and orchids, and much of the original fauna, had long gone. These plants are now to be found condemned to roadsides, in stock routes and on reserved land. Skilful use of fire stopped in the 1860s, when the Robertson Land Acts required prospective farmers to start fencing land in order to apply for a land title. The remaining yellow box, red gum, red box, white box, apple box, red stringybark and ironbark trees are adrift in a sea of agriculture. Mostly they have no children – the age structure of the tree community was set at the moment the early settlers swung the axe, sometime between 1860 and 1920. This area was settled by Europeans from about 1825. Like most young farmers of the time I adopted a very different philosophy from that which I have come to in the last twenty years. Back then, in 1971, I was part of the cavalcade of modern agriculture, believing that if I applied good agronomy and threw enough money at products such as inorganic fertilizers, herbicides, insecticides and machinery, profit would ensue. I was trying to squeeze as much saleable product from the land as possible, by bending it to my will. Although I loved birds and found the rolling hills with scattered remnant trees appealing, I made no connection between the diversity in the landscape and the business of farming. Like most farmers, I felt a connection to place, which has strengthened over time. 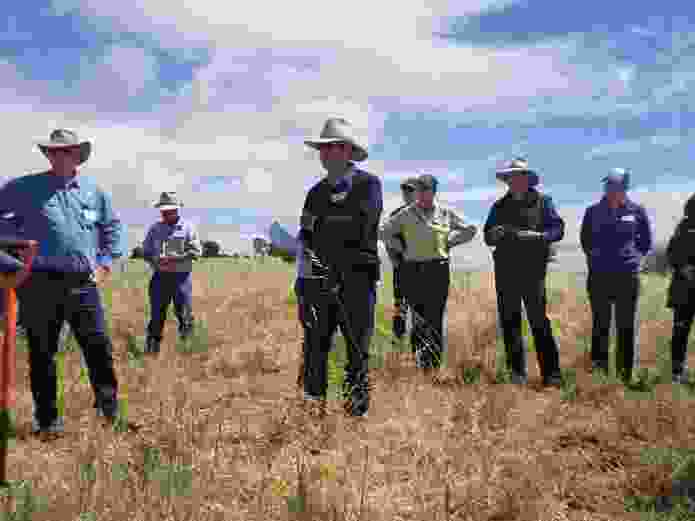 I was in the industrial farming mindset and saw success as growing more wool and grain than the district average. The government supplied a subsidy for superphosphate, we cultivated our cropping paddocks frequently, there was a lot of bare soil exposed to wind and water, and we were running fixed enterprises in the most variable climate on earth. In the 1970s we noticed some of our big old yellow box trees were dying, and calculated that if the rate of demise continued, there would be few alive in seventy years – a depressing prospect. I learned that the natural tendency of evolution, over three and a half billion years of life, has always been to elaborate and diversify the biota. It seemed obvious that the tendency of agriculture, a ten-thousand-year experiment, always produced simplified communities of life. Thus began a journey of change, as I gradually came to accept that it was my actions or inactions, and not circumstances, which were at the heart of erosion events, bare ground in droughts and high costs of regularly feeding stock. I was growing concerned about many of the practices that seemed necessary to make a profit in the industrial model of farming. We adopted zero-till farming, but this was only possible with herbicides. Eventually I stumbled upon Allan Savory’s book Holistic Resource Management (1988) and then Holistic Management (with Jody Butterfield, 1999). In it was a decision-making framework and monitoring process with a focus on social, economic and future resources, which seemed logical and would get us away from the economic relationship we had to the land. I began reading a lot about land-use ethics, and read Aldo Leopold’s groundbreaking book A Sand County Almanac (1949). The book contains an essay called “The Land Ethic,” which beautifully describes the human/land relationship that would lead to landscapes increasing in diversity, stability and resilience to shocks. I read a lot of books about ecology and James Lovelock’s books about Gaia, which showed how the earth behaves like a self-regulating organism. I learned that the natural tendency of evolution, over three and a half billion years of life, has always been to elaborate and diversify the biota. It seemed obvious that the tendency of agriculture, a ten-thousand-year experiment, always produced simplified communities of life. My family decided to begin managing holistically and to allow the landscape to do what it is always trying to do anyway – diversify! We manage our livestock so that plants are only grazed for between six and ten days each year. That means that for the rest of the year, there are opportunities for other species to enter the plant community. This is the process of ecological succession, where conditions change over time and the plant community moves slowly to a more diverse state and is gradually dominated by perennials. There have been some spontaneous tree germination events and we have managed to protect these from grazing with temporary electric fences. We are trying to mimic the movement of unconfined grazers in the unfenced savannas and grasslands of the world. Gradually we are seeing the native grasses that evolved here returning. This, and the return of tree seedlings, is an affirmation to us that the earth can and will regenerate itself if we allow it to. Mobile water and a mix of mature, maturing and green pasture are well favoured by cattle. What are the benefits of adopting this philosophy of management? The effectiveness of rainfall increases, because soils are constantly covered and this allows water to sink into soil where it falls. Soils can thus store huge volumes of water, effectively extending the growing season. Because plants have a long time to recover from grazing, root mass can be up to thirteen times higher than in set-stocked land. Higher soil organic carbon (SOC) levels is an important benefit that can be achieved at no cost, just the provision of time, which can be planned for. Soils will store more water with rising SOC. Knowing how to quickly assess how many days’ grazing you have ahead of you leads to well-informed decisions about lowering livestock numbers if necessary. In drought, the sooner numbers are reduced, the longer the remaining feed will last. This will lead to less reliance on government support in times of drought. The capacity for some tree regeneration and increases in native grass species leads to more diverse and resilient landscapes. The increase in fungi, so important for the recycling of cellulose and lignin, also has the capacity to increase the volume of soil explored by plant and tree roots through the mycorrhizal association, a symbiotic relationship where the plant gives sugars to the fungi, in exchange for elements such as phosphorus that the fungi can unlock from the soil bank. For the past eighteen years we have seen all these increases in natural capital gradually happen on our land. Tree cover has increased from 3 percent in 1966 to 19 percent in 2017 – most of this increase has been from planting and direct seeding. Bird numbers have continued to increase, and now there are more than 125 species that have been identified by the Canberra Ornithologists Group. Importantly, there is a calmness that has a positive effect on the minds of farmers trying to manage holistically. Loving landscapes enough to allow them to regenerate is possible – if we care enough. 1. Bill Gammage, The Biggest Estate on Earth: How Aborigines Made Australia (St Leonards, NSW: Allen and Unwin, 2011). 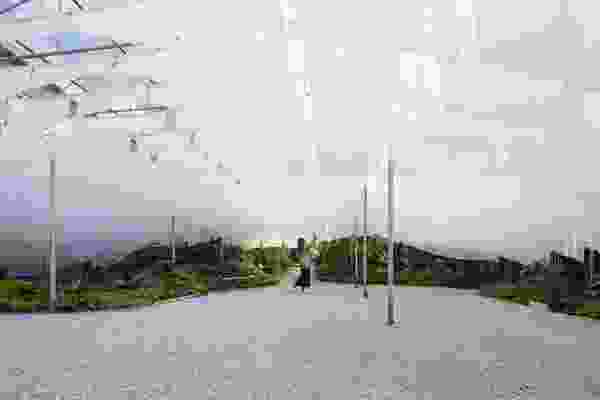 Thai landscape architect Sanitas Pradittasnee harnesses the lyrical dimensions of landscape to provoke reflection on environmental responsibility and the social potentials of space. 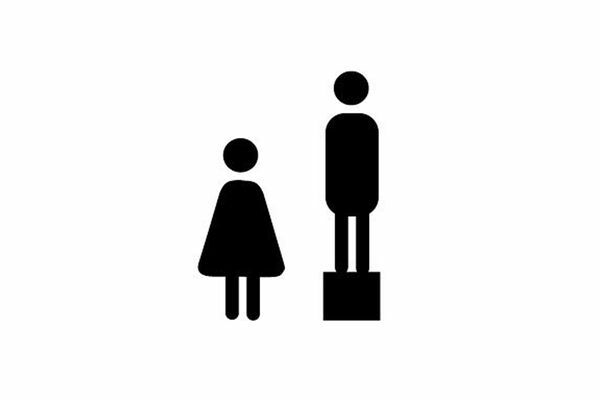 Addressing gender equity issues across the landscape architecture profession means bringing conversations about gender out into the open. 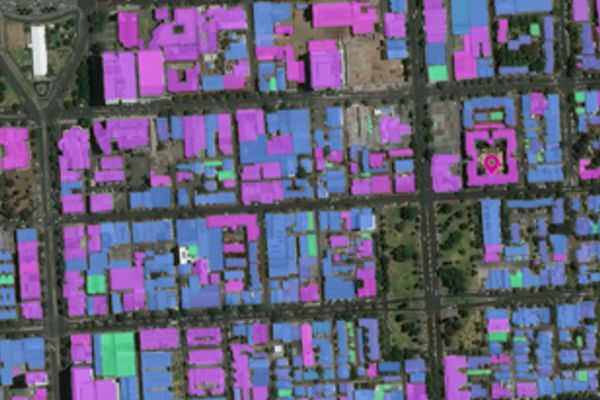 In the “smart and connected” realm of data cities, satellites equipped specifically for observing Earth are transforming the traditional design practices of the built environment. 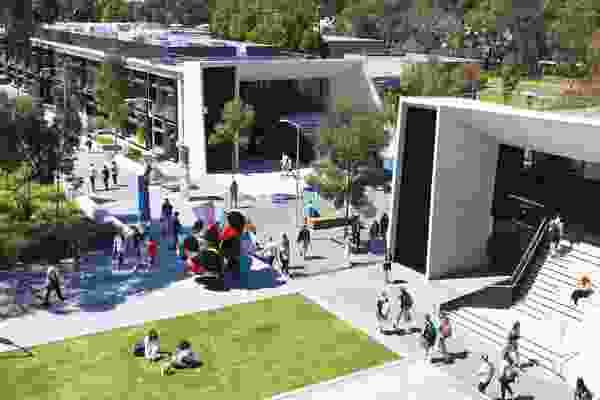 Monash University’s manager of Campus Design, Quality and Planning is transforming the physical environment of student life, from the bottom up. The conditions on the left of the temporary electric fence are typical of land that has had enough grazing, according to grazier David Marsh. Yellow box trees just after dawn. Due to land clearing remaining trees “have no children” and are adrift in a sea of agriculture. © 2019 Architecture Media. All rights reserved. 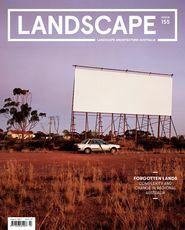 Join 13,000+ landscape enthusiasts for the latest updates – analysis, places and people. Selector.com New products for your next project. 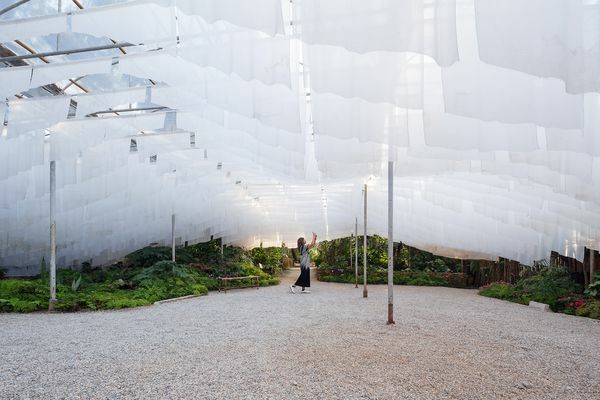 ArchitectureAU.com Inspiring articles, news and events. ProductNews.com.au Product updates, applications and industry news.